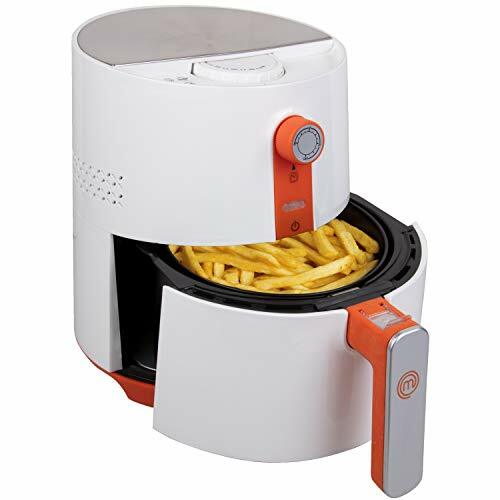 MasterChef Air Fryer- 3.6Q Non-stick Electric Cooker - Double Dip! - CHEAP CHEAP CHEAP! MasterChef Air Fryer- 3.6Q Non-stick Electric Cooker – Double Dip! – CHEAP CHEAP CHEAP! Clip the extra $20 off coupon found underneath the price and apply promo code: MASTERFRYER at checkout. Air Fryer- 3.6L Non-stick Electric Cooker w Timer, Auto Shut Off, Stainless Steel Body and Adjustable Temperature Control: The perfect solution for faster and healthier cooking. The MasterChef Air Fryer allows you to cook faster and healthier, while still enjoying all your favorite foods.